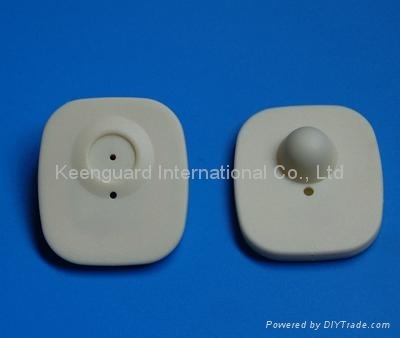 The square hard tag could be connected with security pin or security lanyard. Tags are widely used in supermarkets, garmetn stores for protecting clothes and trousers. EAS security detacher is to remove eas tags from garments. Alarm will be triggered when passing eas security aisle gate with tagged merchandises.